The thing you’ve been needing to hear, ready? You might feel stuck, you might feel like you don’t have what it takes. You might just be afraid. You don’t need some magical formula, you don’t need every shiny object or course out there. There’s not “one thing” that’s going to magically turn your blog into a money-making machine. What you need is to put it out there. You need to create the social media graphics and put them out there. You need to create the lead magnets and put them out there. You need to create the products and guess what? PUT THEM OUT THERE. I remember when I first decided to start this site. My stomach turned and I felt that weird lump in my throat. I had butterflies from excitement but also from fear. What if I put my designs out there and no one liked them? What if people bashed me and hated everything I spent so many long hours creating. 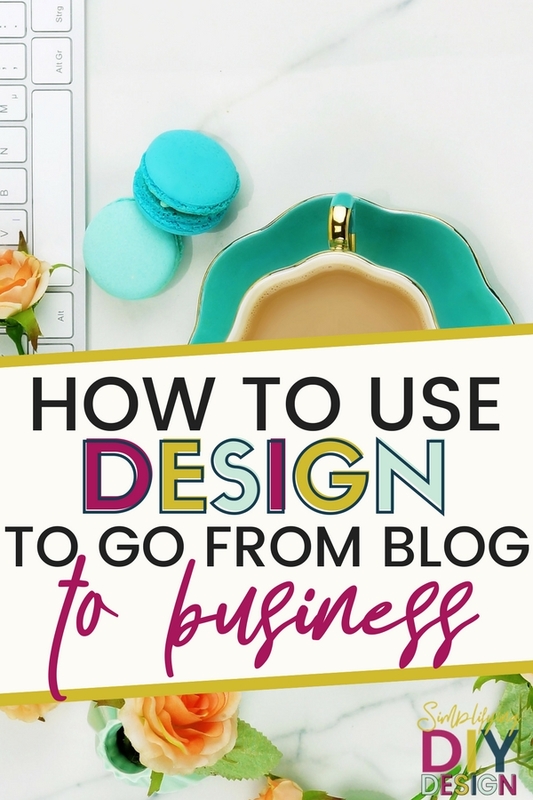 I knew there was a need for teaching bloggers how to rock design. I knew I was passionate about being creative and helping others learn. I had lots of ideas, but the thought of putting it out there was intimidating to say the least. But I needed to push through. And so do you. I promise that’s it oh-SO-worth-it. The biggest hurdle for most is the design part. 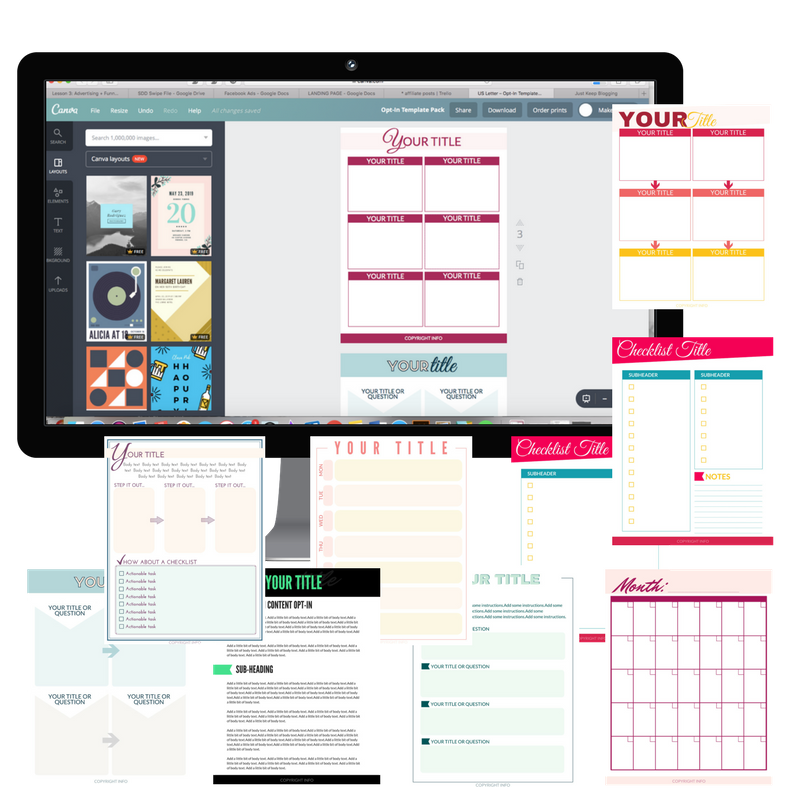 How do you get your vision on the paper (..or screen) in a way that is organized, professional, and usable? I mean what good is a planner if it’s such a disaster no one can actually use it? That’s super intimidating!! You are spending hours working your a$$ off on this design and you’re putting it out there, maybe even charging money for it and wondering what the masses will say. Seriously, that lump in your throat, the butterflies in your stomach– they are well deserved. So, how you overcome that fear? You don’t have to overcome it, you just need to believe in what you’re putting out there. Think about why you’ve started your blog, what is your mission. Think about what drives you. And how do you go from blog to business? You start with a TEMPLATE. 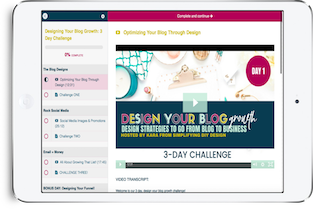 Let your creativity out and watch your blog turn into that money-on-autopilot-business you dreamed of as your people flock to you. You finally stand out among the sea of bloggers. Your social media images pop off the page, they grab your reader and pull them into your content. Your lead magnets capture them and your products make you money. But before any of that can happen, you need to get it DONE and put it out there. You have what it takes. So use it. If you’re ready to see what you can really do with the right tools, click right here.